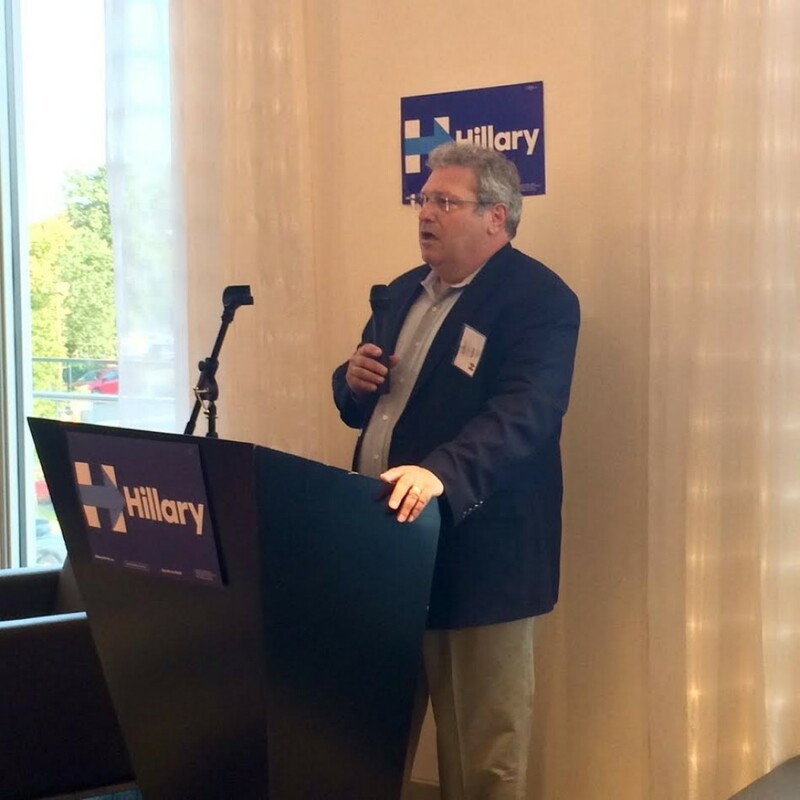 EXCLUSIVE: While left leaning voters in the United States are having a conniption fit over the possibility of a Trump presidency, Hillary Clinton has been quietly building a bridge to a sect of Cold War nostalgic neoconservative policymakers in Washington, D.C., getting regular advice from the likes of Project for The New American Century (PNAC) co-founder Robert Kagan, and Center for New American Security (CNAS) member and former Cheney staff member Eric Edelman. This neocon collaboration was mostly done under the radar until recently, when Foreign Policy Magazine announced that “young foreign policy professionals” in collaboration with The Center for New American Security would be hosting an official fundraiser for Hillary. The event was especially notable for me, having just wrapped production on a 7.5 hour documentary series ‘A Very Heavy Agenda‘ about the new neocons in D.C., who have reinvented themselves to maintain credibility and influence in foreign policy making–most notably interventionist ideologue, Robert Kagan. The final installment of ‘A Very Heavy Agenda‘ shows how Hillary invited them into the U.S. State Department while at the same time Kagan’s wife Victoria Nuland served as Assistant Secretary of State of Eurasian Affairs. Originally I intended to go to this event to tell Kagan about ‘A Very Heavy Agenda’, but instead we ended up having a very revealing and candid conversation about Ukraine. Journalist Rania Khalek accompanied me to this unusual fundraiser. I detail the surreal experience in the latest Media Roots Radio podcast with Abby Martin, where I play the recording in full. Full transcript below. Robbie Martin: I wanted to know what your feeling was on Hillary’s approach to Ukraine, is she going to send the weapons to the Ukrainian army? Robbie Martin: With arms, why do you think the president has sort of dragged his feet? Robert Kagan: Uh, because he said to me because he doesn’t want to get into a nuclear war with Russia. Robbie Martin: That’s literally what he said? Robert Kagan: Yeah, I don’t think…he’s not…he’s through with his agenda with Putin, I don’t think he cares about Putin anymore at all, I think he’s hopeless–uh, he thinks Putin is hopeless, but he says, he thinks Ukraine is part of Russian sphere of influence, and it means more to them than it means to us and therefore we shouldn’t escalate in a situation like that, that’s why he doesn’t want to send arms. Robbie Martin: He actually said he doesn’t want a nuclear war over Ukraine? Robert Kagan: He did, ‘I don’t want to have a nuclear war over Ukraine’–my response is well who do you want to have a nuclear war over? Do you want to have a nuclear war over Estonia? I’ll go down the list, Germany? If that’s your going in position, then okay, fine. Whatever nuclear countries don’t want, we won’t do. He proceeded to speak about the importance of the NATO alliance and how Hillary Clinton understands this better than Trump. Robert Kagan: I think that my instructions are to–uh, explain to you why Hillary Clinton would be better for the U.S. transatlantic European relationship than for alliances than Donald Trump, um, I’m going to operate on the assumption than all your mental faculties are intact and skip past that. I mean for me, I gotta tell you quite honestly if Donald Trump wins the election, the transatlantic relationship would be item number 10 or 20 on my list, given the threat that I think he poses to our democracy, which is fundamental, and if America is capable of electing someone like Trump and he does behave in the kind of way that I think he will behave, our ability to lead our ability to show…act as an example, our ability to–you know–have close relations with other democracies is going to be severely damaged. I’m going to operate on the second assumption, which is that Donald Trump doesn’t win the election and that Hillary Clinton does, a horrifying as it is to even have to think about that prospect. I think that American’s understanding of the value of these alliances and the value of america’s role in sustaining these alliances, I think Americans have either forgotten it or are too young to remember. You really do have to have some history in your mind, in order to understand why we are out there, why any of these things matter. You really have to have some memory of of what the world looked like before the United States created this international system based very heavily on the two pillars of our European relations with our allies and our relations with our allies like Japan and Korea and Australia and others. People have to remember that in the absence of that structure, uh, we saw what happened in the first half of the 20th century. Two world wars in both theaters and it was the American commitment to move beyond its own borders and not think narrowly about its own interests, but to regard its interest more broadly to include becoming in effect a European power, with American forces in place to keep the peace and becoming an Asian power with American forces in place to keep the peace in both regions. Uh, before that they had both been engaged in cycles of warfare for quite some time. It was really the American role and sort of putting a plug in some of those conflicts it was created the extraordinary period we’ve been living through. And that’s another thing I think Americans just don’t understand. I don’t think they realize because they’re so focused on the things that have gone in recent years, and things have gone wrong they went wrong during the Cold War too that they miss the sort of basic underlying unusual quality of the international order that we’ve been living in. Um, I’ve been reading all kinds of people saying American foreign policy for the last 25 years has been a disaster, in my view American foreign policy for all its failings–and I’ve commented on those failings myself–has nevertheless continued an extraordinary success. It continues to be a period of great power peace.